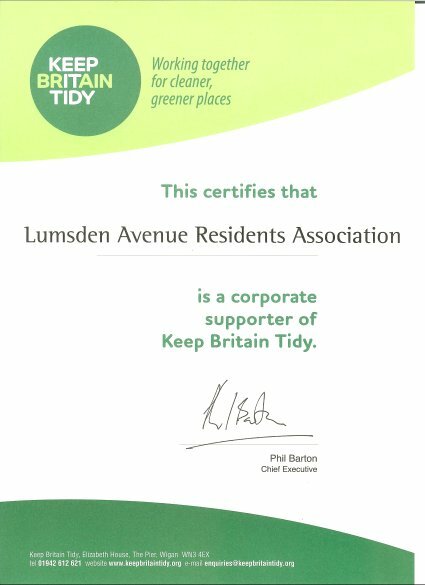 Welcome to "Team Lumsden", the website of the Lumsden Avenue Residents' Association (LARA). Team Lumsden is for all our resident friends and neighbours, working to build a local community. A copy of our current constitution can be found here. We were lucky enough to receive a generous grant from Southampton City Council's Community Chest fund to get us started. These funds allowed us to cover the administrative costs of running our voluntary community organisation, while we established ourselves, and we were very grateful for the funding. We're now completely self-funded through community events that we organise. Our inaugural meeting was in March 2012. Our formal AGMs are held at the Freemantle Community Centre, Randolph Street, Southampton, SO15 3HF. After meetings (from approx. 9:15pm), there is often an informal social in the Freemantle Arms, Albany Street. We meet approximately every other month in a part-social, part-business meeting which is typically in someone's home. We also try to hold two-or-three events each year. AGM 2015 - Date TBC. We've established our street as a Neighbourhood Watch area and a No Cold Calling Zone. Generally, we want to make our road and area an even safer and even more pleasant place to live. 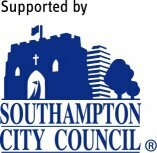 We also encourage residents to use the Southampton Fix My Street service to alert Southampton City Council to problems, enabling them to fix them. 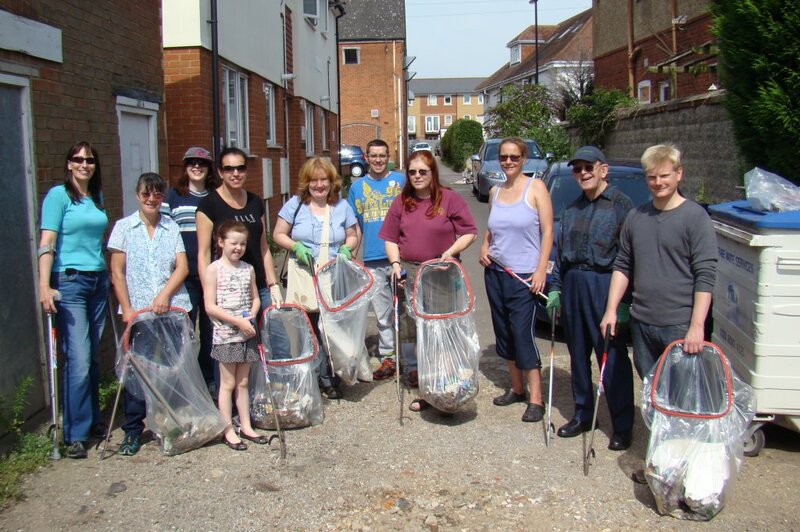 We're working to combat littering and fly tipping so have signed up with Keep Britain Tidy – see our certificate and a photo from our involvement in a community clear-up event on 11 August 2012. Finally, we currently plan to hold a street party each year as a mechanism to build the community in Lumsden Avenue and beyond. Probably the best way for residents to get in touch and join our online community is to join our Team Lumsden Facebook Group. Alternatively, you can email us at contact@teamlumsden.org.uk. We have two e-mailing lists for street residents. The aims of both of these lists are to keep all subscribed residents informed. There is also an e-mailing list to aid communication and discussion of LARA coordination between committee members (doing the admin behind all the volunteer members of LARA). You will need to act on confirmation emails sent to you. Please check your junk folders, particularly if you use hotmail. If you still do not receive the confirmation emails please click one of the Email for help links above. Lumsden Avenue consists of 75 residential properties (including those where a house has been converted into two properties) and one business (a vehicle service & repair garage at 4 Lumsden Avenue). Lumsden Avenue is in the Freemantle Ward of Southampton City Council in the county of Hampshire. LARA uses the Southampton font set for its logo and promotional materials that it produces. Elsewhere, Arial (or another similar sans-serif font) is used. The Southampton fonts used to be freely downloadable to use with the Discover Southampton's Brand and Identity guidelines. © 2019 Lumsden Avenue Residents Association (LARA). All rights reserved. The views expressed on this site are not necessarily those of LARA. Whilst efforts are made to ensure that the information on this site is accurate and up to date, no responsibility for errors and omissions can be accepted. Links to external servers do not imply any official LARA endorsement of the opinions or ideas expressed therein, or guarantee the validity of the information provided. Links to commercial sites are in no way an endorsement of any vendor's products or services. This site is best viewed at a resolution of 800x600 or greater. It has been tested with various versions of Internet Explorer, Safari, Chrome and Firefox, under the Windows, Mac OS, Linux, iOS and Android operating systems.